Courtesy of Pick Patrick Realty. Investment Opportunity! Modernized 1938 cottage on 2.44 A-1 acres near Bell Creek. 115′ road frontage. Value is in land. House / outbuildings are sold as-is. Four Room house could be an office. Long term lease option maybe considered. 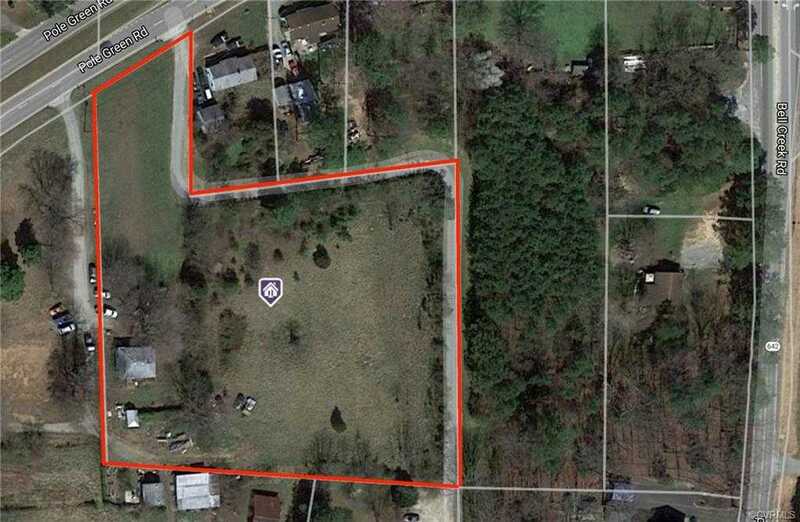 Please, send me more information on this property: MLS# 1809157 – $650,000 – 7349 Pole Green Road, Mechanicsville, VA 23116. I would like to schedule a showing appointment for this property: MLS# 1809157 – $650,000 – 7349 Pole Green Road, Mechanicsville, VA 23116.